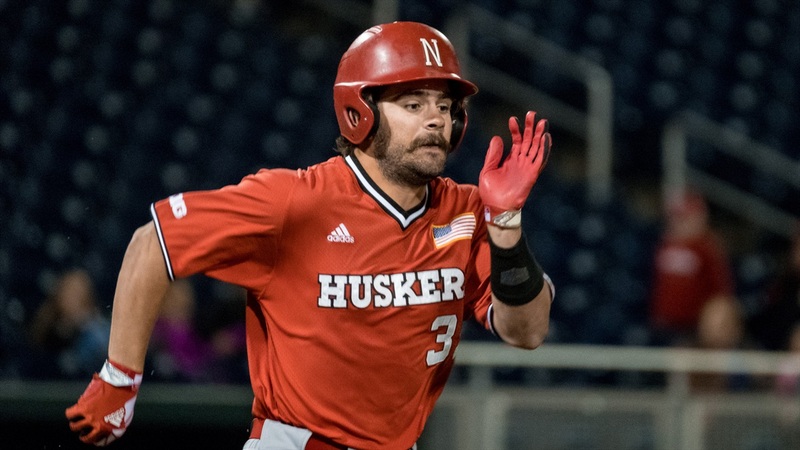 On Tuesday, Nebraska snapped a four-game losing streak with an offensive explosion, downing Kansas State in Manhattan 11-9. Three different Huskers hit home runs as Nebraska took advantage of several Wildcat mistakes to rack up 11 runs on just eight hits. The Huskers may have gotten the win, but Coach Darin Erstad is focused more on cleaning up some of Nebraska’s own mistakes that made the game more competitive than it could have been; he’s focused more on the process than the results. The next step in that process is a weekend series against Iowa (20-10) at Haymarket Park. However, like it has been a handful of times over the last few weeks, the weather could be a problem. With the forecast calling for cold temperatures and potentially snow on Saturday, the Huskers and Hawkeyes will play a double-header on Friday (first game at 2:05 p.m., second at 6 p.m.) while game three of the series will be on either Saturday or Sunday depending on the weather. The Huskers have already had one game canceled and two postponed this month. According to Erstad, Luis Alvarado will start game one on the mound while Matt Waldron starts game two. Matt Warren is slated to start in game three — if it happens — but Erstad said they could use him out of the bullpen if they need him to get a win on Friday. The pitching staff has been ravaged by injuries and has gone through a lot of struggles throughout the season, but catcher Jesse Wilkening said he’s tried to stay even-keeled in his communication with the guys on the mound. The bullpen did get a boost when Jake McSteen and Reece Eddins returned from injury during Nebraska’s series against Michigan State last weekend. Eddins underwent Tommy John surgery last season. According to Erstad, shortstop Angelo Altavilla will be available after missing some time with a hamstring injury. Infielder Brison Cronenbold remains out with a stress reaction that Erstad said hasn’t gotten any better. Wilkening said he doesn’t pay too much attention to what the rest of the league is doing, but he does hope to see plenty of fans out at Haymarket Park on Friday as the Huskers take on the team that knocked them out of last year’s Big ten Tournament. Speaking of the Tournament, at 2-6 in conference play and 15-16 overall, the Huskers have a lot of work to do just to qualify for the postseason. However, Erstad’s style is to focus on the day at hand and the team isn’t even talking about the tournament which will be held at TD Ameritrade Park in Omaha this year.